A theraputic Card Pack Developed by Michal Prins and Yaffa Zuckerman. 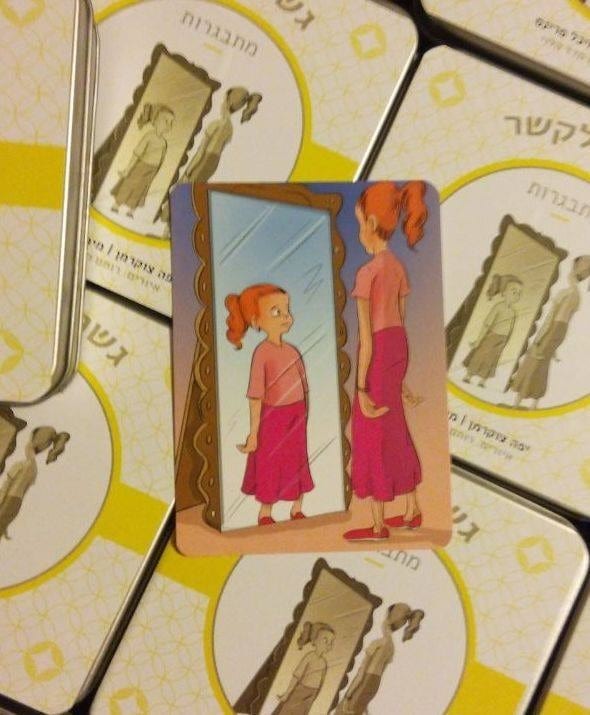 The kit includes a set of cards , called ‘ a bridge to connect by’ and was created to to assist mothers in holding a open conversation with their daughters about the adolescent stages: body mage, modesty, sexual development and famiy issues. The kit includes :23 illustrated cards and 30 cards with Emotions written on them . A list of open questions that accompany the series. The cards are reccomended for therapeutic and educational work in large and small groups . Price : NIS 100 NIS 25 shipping fee. Cancellation fee is reservation up to 14 days of purchase.